Installing siding on your home is an investment, but one that will help protect your home. Siding keeps the rain, snow, and other inclement weather away from the structure of your home. Well-insulated siding can also help keep your home warm in the winter and cool in the summer. It is important to have new siding installed by a professional. There is virtually no room for error when it comes to siding a house. One small mistake and the wind and water will creep right into your home’s foundation, creating huge problems. By hiring a professional, you’ll be saving money from repair bills later down the road. If damage occurs to your siding, it is important to have a professional evaluate the situation as soon as possible. Any gaps in coverage mean the elements are making their way down in between the siding, bringing moisture to the structural support and the foundation of your home. Once trapped, it can lead to mold and rot within the walls of your home. Addressing the problem quickly is the best way to avoid a disaster. If there is damage to your home, our roofing contractors will replace any rotting pieces to make sure that we fix the damage completely. There is no need to call in another company to do the carpentry. Our skilled team is ready to tackle the entire project from start to finish. Austin All Roof is your source for siding installation and repair. Siding a home is an intricate process demanding skill and technique. Our team has over 23 year of experience and all the tools needed to repair or install new siding on your home. Let’s look at some of the reasons you should consider replacing the siding on your home this season. The siding shows signs of warping and pulling away from the outside of your home. Green or black mold patches on or behind the siding. The siding becomes cracked or loose. Peeling, chipping, or cracking of the paint on the siding. Interior damage from moisture such as peeling paint or wallpaper and cracking walls or ceilings. Soft spots on the side of your home indicating rotting boards underneath. Higher than normal heating or cooling bills, indicating the insulation is failing. Dry rot in the siding. What Can Damage Your Siding? Through all the inclement weather, your siding takes quite a beating. There are several factors that can damage the siding on your home. Let’s look at some of the reasons why siding gets damaged. Warping from expansion and contracting in the outdoor temperatures. Dirt, dust, and other debris. Squirrels, chipmunks, raccoons, and other animals. If you are experiencing any of these problems, it is most likely time for a replacement. When large areas of siding go wrong, it is easier to put new siding on the whole house to make sure the aesthetics line up. Please make sure we have full access to your driveway for unloading the materials. Secure any pets away from the perimeter of the home. Siding repair can be noisy. Be prepared. Remove any breakables from shelves on the outside walls of the home. Sometimes the vibrations can knock things over accidentally. Cover plants and remove any patio furniture or grills from around your home. We do our best to respect your home and your yard, but it’s always a good idea just in case. Please make sure outdoor outlets are working for our power tools. We will do our best to clean up before we leave your property, but sometimes we might miss a small piece of debris. Be careful about letting children play in the area. Your home is safe in our hands. Let us help you repair or install new siding on your home, improving the exterior and correcting any problems you are experiencing. Contact us today to start the journey to new siding for your home. Annual complimentary inspections, and we'll come out to meet you and discuss your roof for at no charge. 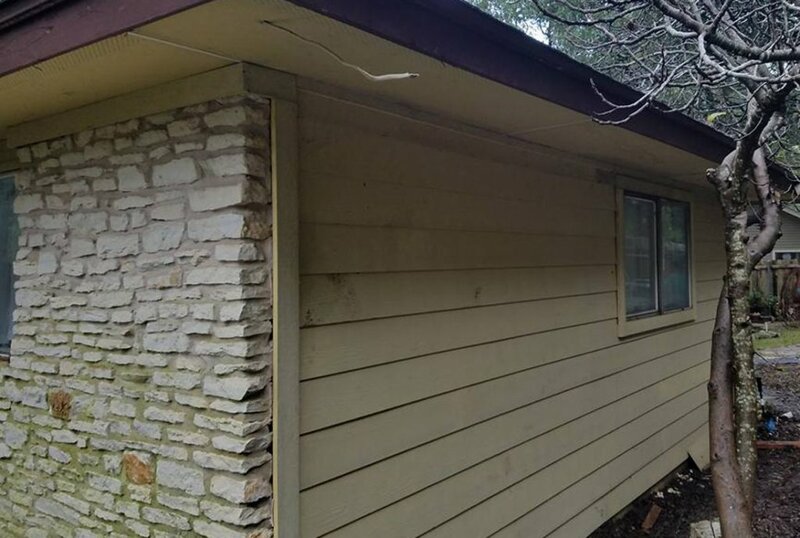 Austin All Roof is a fully insured and bonded roofing company in Austin, TX, and we offer free, no obligation estimates for all types of roofing, siding, and windows. © 2019 Austin All Roof. All rights reserved.